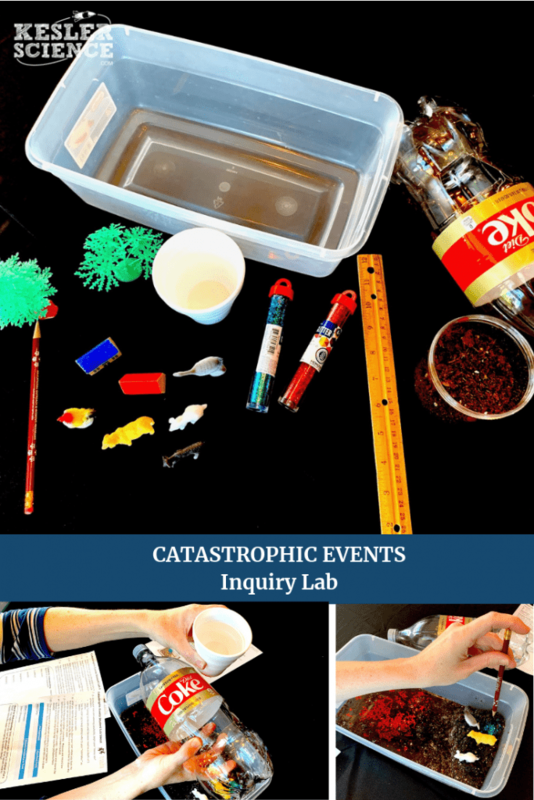 In this lab, students will create an ecosystem, describe and predict what will happen to their ecosystem when the river water rises, and recreate a flood, and investigate the impact on the ecosystem. In what ways does flooding impact the sustainability of ecosystems? 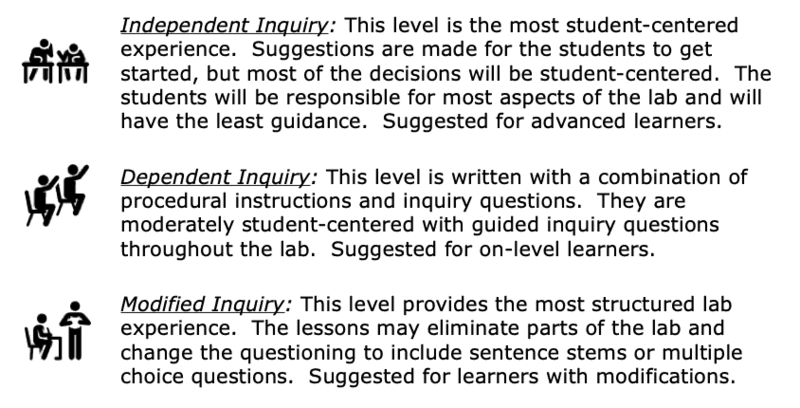 This lab will certainly get your students thinking critically as well as give them a hands-on experience! First, students will have to create a landform including a hill. Using a ruler to measure an accurate depth for both soil and water, students will create the “base” for their ecosystem. Once their ecosystem is built, students will place animals, plants, and structures that relate to their ecosystem. Students will take both pre-flood and post-flood measurements of the water source’s turbidity. They will also measure the distance traveled by the nutrients in the river and pollutants on land during a flood. This lab will not only give students a first-hand view of how flooding can harm an ecosystem but will help them predict any types of damage future flooding cmight do. 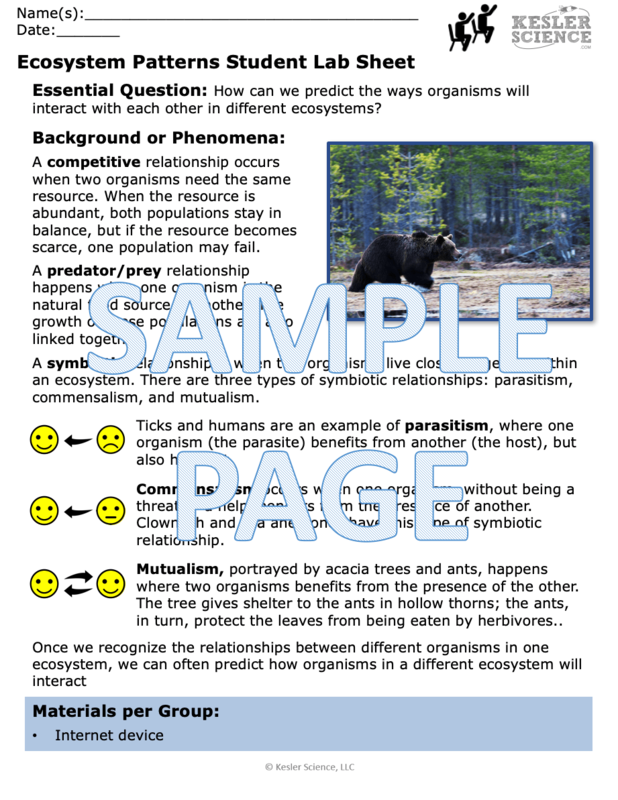 Predict what will happen to certain factors (provided in the lesson) of your ecosystem. What causes water clarity to change after a flood? How might life in the river be affected? What would need to happen before water returned to its normal clarity? 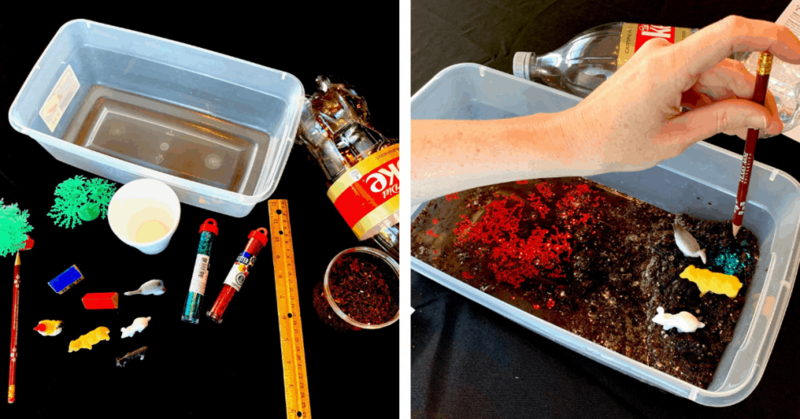 What consequences might occur as a result of pollutants spreading in water? Are there any benefits that catastrophic flooding can bring to an area? What would need to happen before the structures, livestock, wildlife, and vegetation could return to their pre-flood conditions? 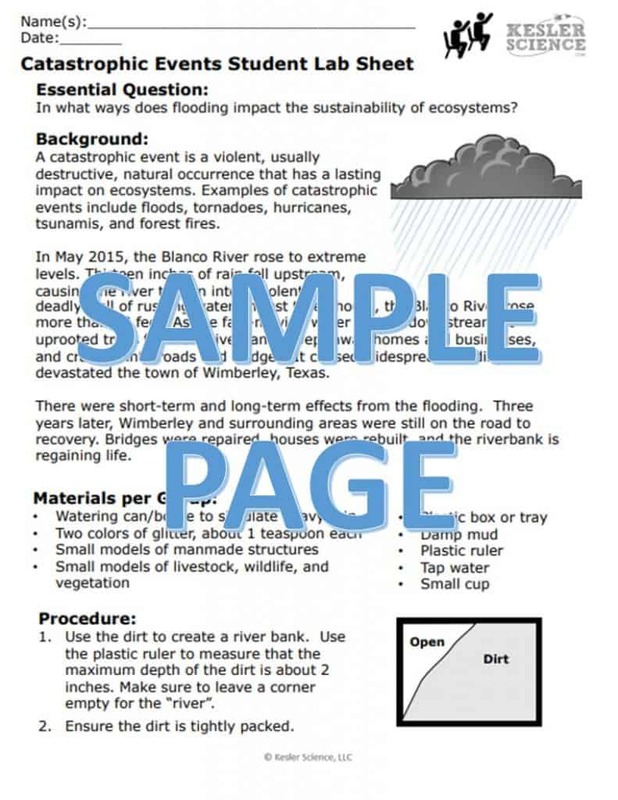 TEKS: 7.8A – Predict and describe how catastrophic events such as floods, hurricanes, or tornadoes impact ecosystems.